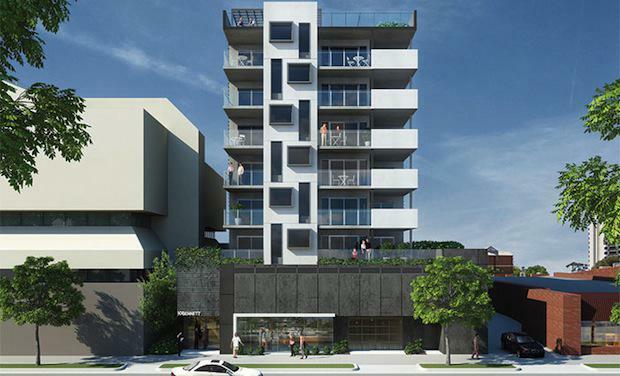 Construction is soon to commence on Ascot Capital Limited's new development 108 Bennett St in East Perth, with more than 80% of the apartments already sold. Probuild secured the contract to construct the 42-apartment development near the corner of Bennett and Wellington Streets. 108 Bennett St is marketed by inner city residential firm, Knight Frank and has appealed to both investors and owner-occupiers. said investors in particular were still very keen on inner city property as a safe, solid investment option with long term income streams and capital growth. The spacious one bedroom apartments at 108 Bennett St sold quickly with only one premium one-bed apartment left for $457,500. Some premium two-bedroom apartments remain priced from $640,000. “East Perth has long been a favourite with inner city residents due to its close proximity to the river, city and a vast array of transport options and lifestyle facilities,” Ms Brown said. “There is so much going on in East Perth, with new developments set to increase the amenity of the area that will complement the village lifestyle of nearby Claisebrook inlet and its restaurants and cafes. “The area will also benefit enormously from the new sports stadium that is currently under construction across the river in Burswood and the expansion of the Crown Casino with its six star hotel. “As a result it is attracting strong interest from buyers who are looking to secure an apartment in a growing and developing suburb who can see that the future of investing in the area is good. “This is a quality development in a popular, park-front location at a great price,” Ms Brown said. One ground floor commercial suite of 33 square metres was also still available for sale for only $240,000.